Velvel is an experienced litigator known for finding creative solutions to complex problems. His practice focuses on high-risk litigation that includes consumer class actions, international disputes, and cryptocurrency/blockchain lawsuits. Vel’s clients value his responsiveness, creative solutions, and ability to achieve successful outcomes while balancing the needs of running a business. Vel’s practice spans a diverse array of disputes across state, federal, and international trial and appellate courts. At the trial court level, Vel currently serves as lead counsel in five consumer class actions across the country. 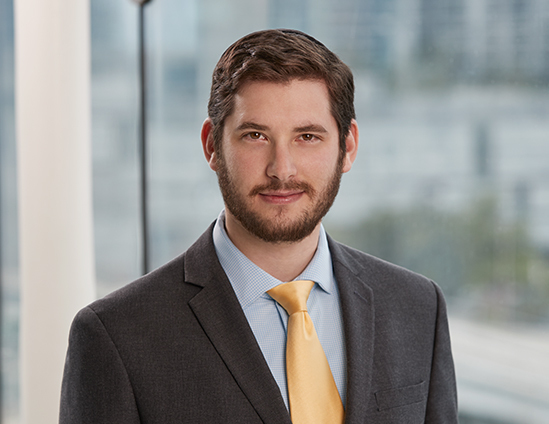 He is also currently pursuing an over $10 billion cryptocurrency case on behalf of the estate of David Kleiman and represents a consortium of growers, producers, and patients suing the State of Florida, and its agencies, for medical marijuana related issues. Vel also represents the heirs of a Holocaust survivor seeking to recover a Camille Pissarro masterpiece held by a Spanish-owned museum in one of the only Holocaust era cases to go to trial. At the appellate level, Vel has successfully pursued numerous appeals in state and federal appellate courts. This includes acting as lead counsel and making oral argument to win a matter of first impression before the Eleventh Circuit Court of Appeals for the United States, along with other wins before the Ninth Circuit, and Florida’s District Courts of Appeal. He recently filed a petition for certiorari to the Supreme Court of the United States. On the international side, Vel has successfully represented sovereigns and investors in global disputes involving national court litigation, international arbitration, and strategic negotiations, while managing public relations. He recently acted as strategic global counsel to successfully prevent a foreign sovereign from illegally expropriating his client’s assets. Vel is also active in the local legal community, where he serves on the Southern District of Florida's Local Rules Committee. Before attending law school, Velvel was ordained as a rabbi. .